Voice your opinion! 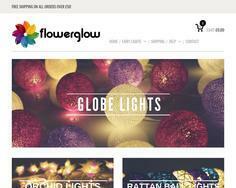 Review Flowerglow now. What an amazing company!!! The design is really creative and dreamy. Matched perfectly with the design of my living room! Ordering was also easy and hassle free. Definitely a service that is worth the money and it's even better that the prices are not so high. I've made a research online and found lots of companies offering similar services but with higher prices that was not suitable for my budget. Flowerglow LED Fairy Lights, delicately crafted by hand to brighten your celebrations & create a wonderful atmosphere in your home. Free worldwide delivery.